Srinagar, April 15: After remaining closed for four months, the Srinagar-Leh highway in Jammu and Kashmir is likely to be reopened for traffic shortly, officials of the Border Roads Organisation (BRO) said on Monday. BRO officials said its project ‘Vijayak’, maintaining the Leh-Srinagar highway till the Zojilla Pass, had completed snow clearance from Drass town up to Zojila pass from the Ladakh side of the highway. “The whole road from Zojila Pass to Drass falls in heavy avalanche zone. The snow clearance team faced a tough challenge on a daily basis. The team has reached zero point and snow clearance may take some more days for widening activities before the highway is officially thrown open for public,” Lohani added. 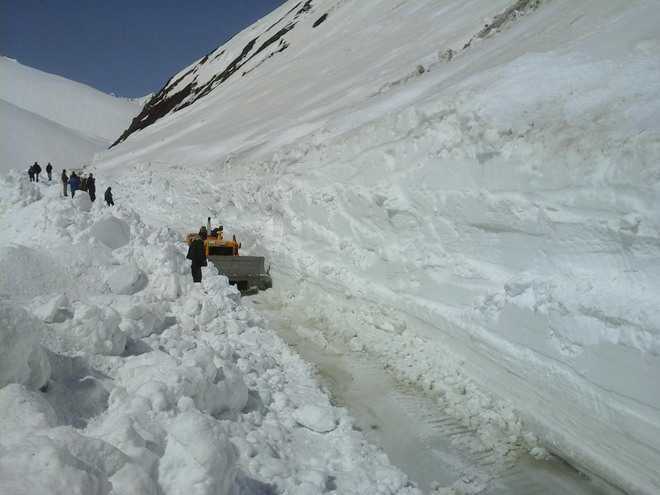 The Srinagar-Leh highway remains closed for four months from the middle of December to middle of April each year due to heavy snow, especially on the Zojila pass that connects the Valley with the cold desert Ladakh region.